I am tart crazy lately. So easy to make ahead and I love how versatile it can be. 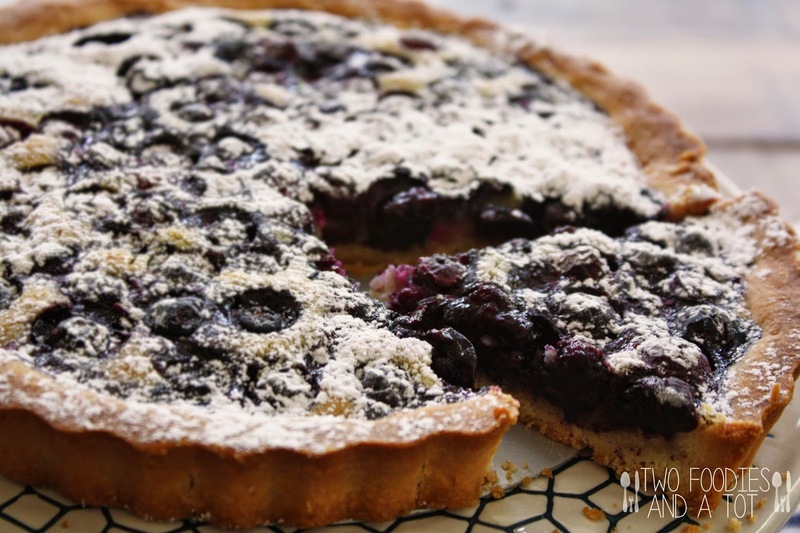 I baked with blueberries but for 4th of July, you can do part raspberry and part blueberry for a patriotic tart. That would be so pretty. 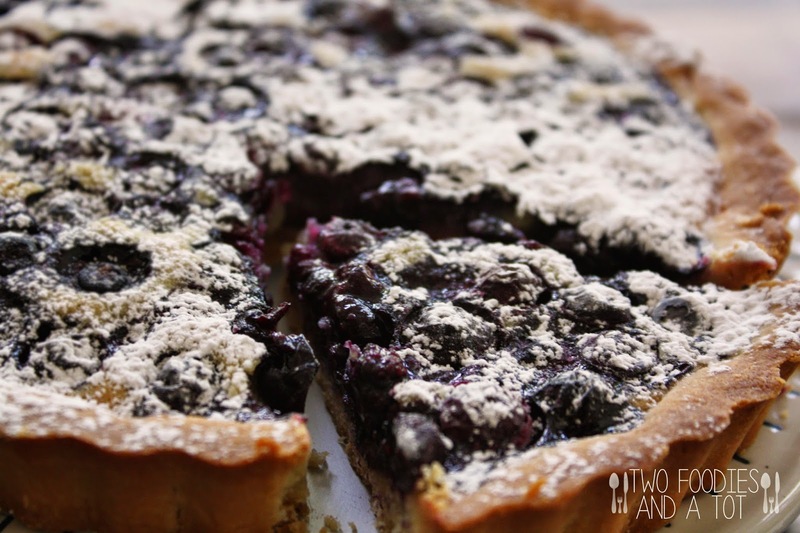 Check out this piece of shortbread-like crust and nutty almond filling with fresh blueberries. It was a big hit at my tot's pool play date. Toddler approved dessert! It's funny how almost all toddlers I know love blueberries. 1. Make the tart shell - In a food processor, pulse all ingredients together and form a dough. 2. Lightly butter the tart pan and press the dough evenly to the bottom and the sides of the pan. Prick a few holes with a fork, cover with plastic wrap and freeze for 15 minutes. Preheat the oven to 350F. Bake for 30 minutes or until it turns light brown, but not golden. 3. While shell's baking, make frangipane. Pulse all frangipane ingredients in a food processor until mixture becomes a paste. 4. 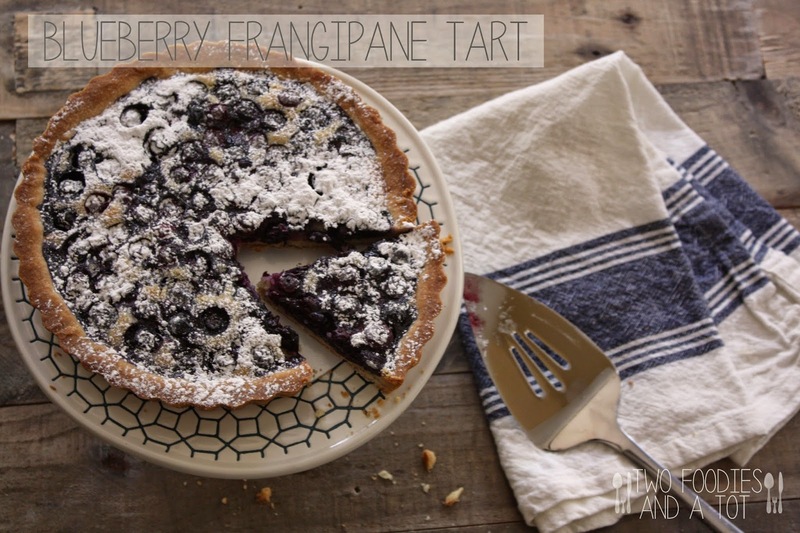 Spread the frangipane in the tart shell and top with blueberries. Bake at 350F for 25 minutes or until frangipane is risen and golden. Cool for at least 15 minutes before removing the tart from the tart pan.